1 California Death Index, 1940-1997, Death record for Virginia Barnett Wing, FamilySearch.org (Online Database). 2 California, County Marriages, 1850-1952, Marriage certificate for Ivan Wilford Wing and Virginia Barnett, FamilySearch.org (Online Database). 4 U.S., Social Security Death Index, 1935-2014, Death record for Virginia Wing, Ancestry.com (Online Database). 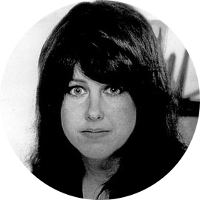 5 Wikipedia, "Grace Slick", (accessed 03/15/2015).